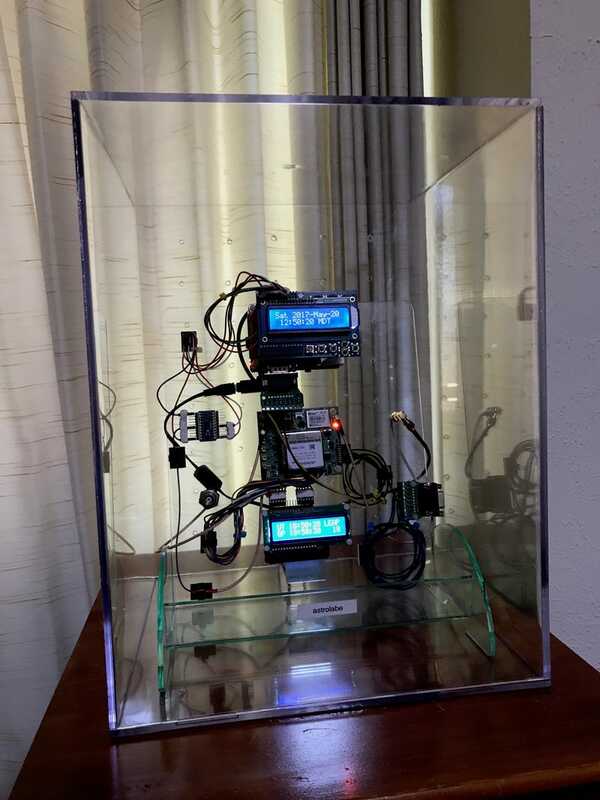 Here is a picture of my atomic clock: a home-brew NTP server with a GPS-disciplined cesium-133 oscillator. It’s based on a Jackson Labs CSAC GPSDO board which has a Microsemi Chip-Scale Atomic Clock. I put it in an acrylic display case to keep idle hands and paws off it. Had to drill a bunch of ventilation holes in the back, and cut a slot for the power cable and antenna coax. It has a cobbled together look about it, but I like that; looks like the learning project that it was.